Picasa is Google’s all in one photo editor and photo management tool. It organizes all your pictures in a simple interface and lets you edit or share them easily. Unfortunately, we will have to say goodbye to the loved software as Google is going to shut its support down from May 1st, 2016. 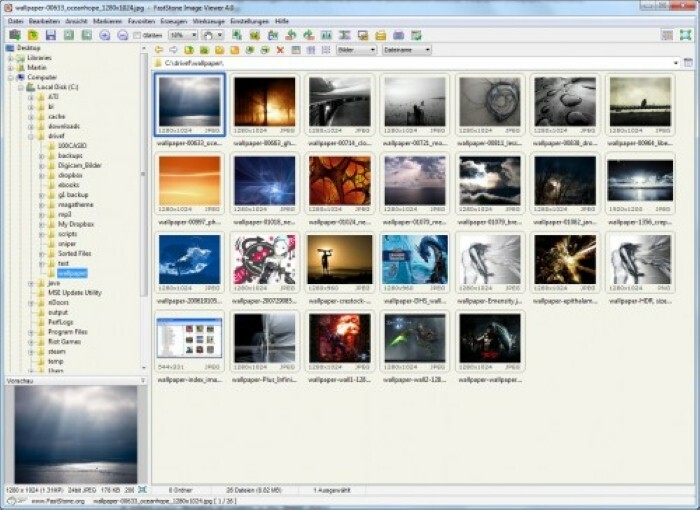 If you were a loyal user of Picasa, then you must be looking for an alternative. Picasa was great, but we have to move on now. Thankfully, there are many other photo organizing tools available on the internet that will manage all your photos and help you quickly edit and share them. To help you find photo organizing tools to manage all the photos Picasa was handling for you, we have created a list 6 of great tools. They might not give you the same experience as Picasa, but they are excellent as well. They might even be better than Picasa with tons of extra features and organizing capabilities. Without further ado, let’s check out best Picasa alternatives. We will mention Google Photos first as this is the alternative suggested by Google. Google ended support for Picasa due to its Google Photos platform. Both of these served the same purpose, so Google had to get rid of the old one. Google Photos is a great photo organizing tool as well with many advanced features. It will organize all your pictures by time and let you search for photos with a simple keyword. Apart from manually managing your photos and creating albums, Google Photos also have an automatic “Assistant”. This assistant will take all your photos and create beautiful collages, animations, panoramas and other types of photos to make them look charming. 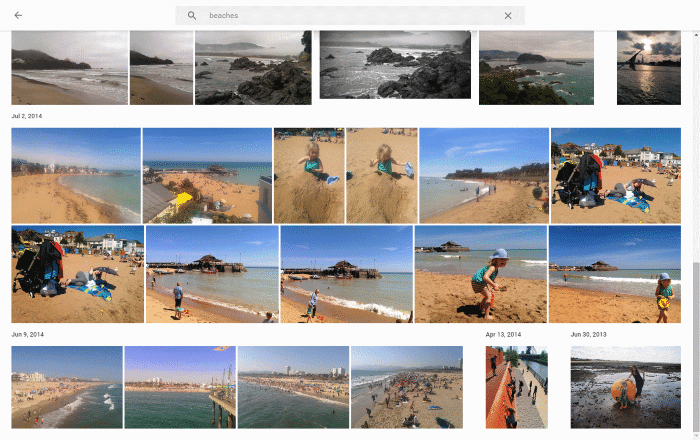 You can also create stories and movies right from your photos using Google Photos. It uses Google Drive storage for storing and syncing all your photos over all your devices. 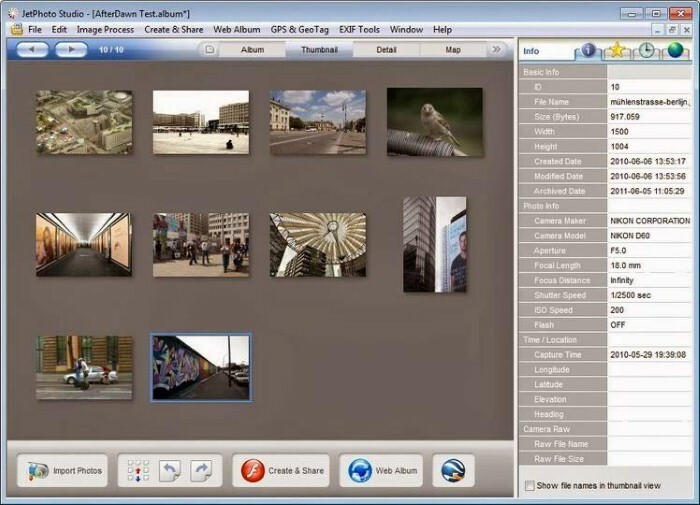 JetPhoto is a reliable free alternative to Picasa that offers a big list of features with a simple and beautiful interface. The photos are organized into folders and use different organizing methods to arrange the pictures. You can use photo metadata, notes, keywords, geodata and time to assemble the photos. It also comes with basic photo editing features to beautify your photos, including color balance, enhancing, brightness and contrast adjustment, cropping and dozens of effects to make your pictures differently. It has a unique Calendar and Maps feature that let you see all your photos on Calendar and a Map (digital map) to find easily the ones you need. You can also create flash movies with your photos, and it makes sharing your photos/videos a breeze. Apart from pictures, it will also manage your videos and offer few video editing tools as well. 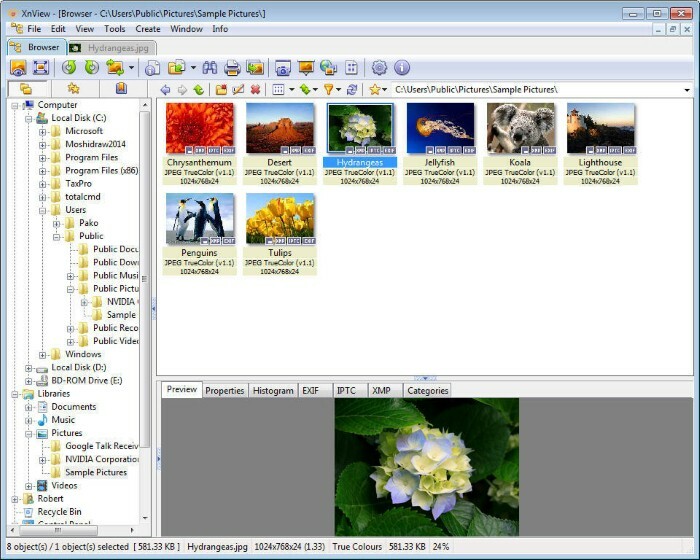 XnView is quite similar to Picasa as far as the interface is concerned, but this tool has some unique features as well. The tool is completely free to use for personal or educational use, but for commercial purposes, you will have to buy a license. XnView boosts support for over 500 different formats, so you should be sure that whatever format you throw at it will work. The photos are organized in albums and you can use different views, like Thumbnails, Fullscreen view, slideshow, compare and FilmStrip, etc. It also has some editing features like crop/resize, brightness and contrast adjustment, Auto enhance, color change and multiple effects and filters. Furthermore, you can create web pages, slide shows, sheets, movies, video thumbnails and more. All of this is complimented by its support for Plugins and Add-ons. There are dozens of plugins available to increase the overall functionality of XnView. You most probably know about Flickr already, an online gallery to share and see photos taken by amateur and professional photographers. 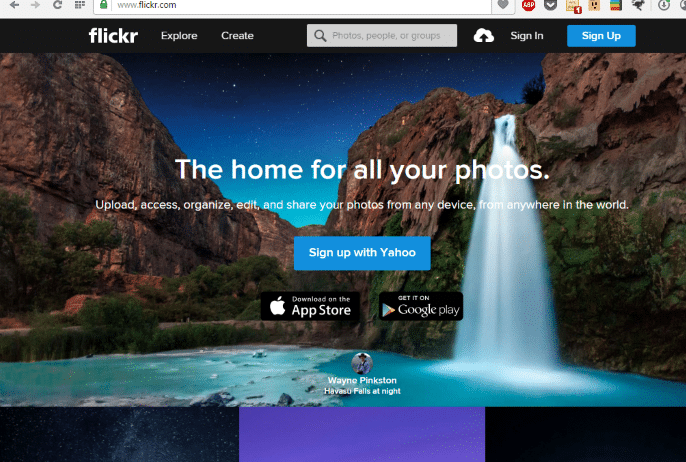 If you are keen on organizing your photos online, then there is no better option than Flickr. It offers up to 1000GB of free space for storing photos; that is more than enough to manage your photos. It has everything the tools mentioned above can provide, such as the ability to organize photos by location, time, notes and tags, etc., and you can create movies, collages, and panoramic photos. Leaving all the common things aside, it is backed by a huge community and comes with regular social media feature similar to Instagram. The purpose is to share your photos and see other people’s photos, but of course, you can upload photos privately as well and organize them. You can follow photographers to view mesmerizing photos every day. It has a unique Magic View that uses OCR Technology to see what is in the picture and automatically organizes it. For example, it can arrange photos of nature, animals, humans and more types automatically without your intervention. Its free account is ad supported but should be more than enough. IrfanView is an incredibly simple photo organizing tool that is light with a simple to navigate interface. However, behind its simple interface, it hides some amazing professional features perfect for professional photographers. The tool focus on both photo organizing, and photo editing, so you will find loads of features for both purposes. Its editing features include annotation, Multipage TIF editing, color depth, enhance, IPTC editing, effects and filters, lossless rotation and much more. The tools are also very customizable with support for hundreds of formats, you can change skins, change preview, search files with a simple keyword, directory view, Adobe Photoshop filters support, print option, overlay images and support for the media player, etc. It also comes with a big list of plugins that add tons of different features, like burning slideshows, email support, face detects, filters, metadata and more. 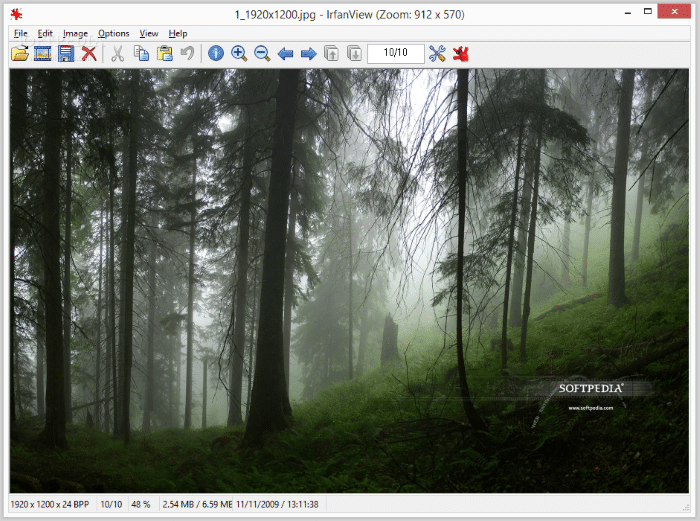 FastStone Image Viewer is a free photo organizing tool for Windows that keep you in the circle of Windows. It has an interface very similar to Windows native file explorer, so you should not have a problem if you are a regular Microsoft Windows user. It has fantastic image magnifying capabilities and comes with an auto-fit view of the image to ensure you get the best view of all your images. You can use tags, location data and time to organize your photos, and has a robust slideshow creation tool with 150+ transitions. Its editing features are also excellent, and these include resize, sharpen/blur, adjust colors, 11 resampling algorithms, effects, special effects like sketch/shadow/annotation, the ability to draw, healing brush, red eye removal and more. It also supports batch image processing to edit and process all your images in one go. Although it is free, yet you will have to buy a license for commercial use. Image organizing is crucial if you take a lot of photos. It can become quite cumbersome to find all your photos scattered all over your PC’s hard drive. Picasa is going now, so you should settle for another image organizing tool. You can use any of the tools mentioned above and it should be able to manage your photos well. They all offer basic image editing and organizing tools that you had access to Picasa. So you will have to make the choice based on their unique features. Google Photos is a great option if you want something intuitive as Picasa, but a robust tool like JetPhoto might be useful as well if you like an advance option. Did Google’s decision of closing Picasa affect you? If yes, which tool will you use for organizing your photos?